Melasma is a skin condition characterized by the appearance of brownish or grayish patches of skin. The condition is common among women. Although melasma generally does not signify any underlying condition nor pose any harm, those who are affected are often bothered by how it appears. Treatment involves use of the best sunscreen for melasma. Other than preferring a broad spectrum sunscreen - one that blocks both the deep-penetrating UVA and the surface burning UVB radiation - you must also know the difference between physical and chemical sunscreens. Chemical sunscreens are sunscreens that have chemical actives such as oxybenzone, octinoxate and homosalate. These chemicals transform the UV in heat, which is a much less harmful by-product. Physical sunscreens literally block out UV The most common physical sunscreens are mineral sunscreens made with only Titanium Dioxide or Zinc Oxide or both. Other botanical active sunscreen ingredients are only just starting to be manufactured and distributed. This is supported by a study published in the Journal of Investigative Dermatology. The researchers were able to establish that physical sunscreens are effective in shielding skin from visible light. Between physical sun blockers, Titanium Dioxide and Zinc Oxide, a study recommends Zinc Oxide is the more effective ingredient. The study also emphasizes that recent use of nano-sized Zinc Oxide provides even better coverage and protection against UV. This product bears an Environmental Working Group (EWG) rating of 3. EWG is a non-government organization that serves as the watchdog of consumer products sold in the market. It grades products based on safety and toxicity of ingredients. This product works best for normal to dry skin. Sunscreen's active ingredients are Zinc Oxide (9.0%) and Octinoxate (7.5%). This product provides Broad spectrum UVA/UVB sun protection. Contains Octinoxate is an endocrine-disrupting chemical (EDC) and bears high risk for irritation. This EDC mimics estrogen which switches on and off several critical body processes. It also bioaccumulates which means that it can be passed on from mother to child and is not degraded into simpler forms. At higher concentration, octinoxate is toxic. This product’s 2015 formulation has an EWG Score of 2. It is marketed as suitable for sensitive to hypersensitive skin types. It is recommended for users with normal to dry skin. Active sunscreen ingredients are Zinc Oxide (9%) and Titanium Dioxide (7%). This product provides Broad spectrum UVA/UVB sun protection. This product has been certified by the EWG to have a rating of 1, the lowest grade for hazard potential. Active sunscreen ingredients are Zinc Oxide (10%) and Titanium Dioxide (5%). 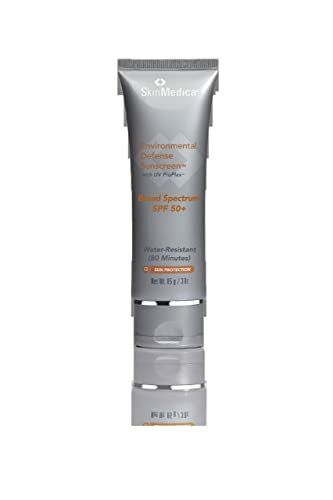 This product provides Broad Spectrum UVA/UVB protection, SPF 30+. This product is graded suitable for normal to oily skin. This product earned an EWG rating of 4. Active Sunscreen Actives are: Octinoxate (7.5%), Octisalate (5%), Oxybenzone (6.0%) and Octocrylene (2.0). This makes this product a pure chemical sunscreen. This product provides Broad spectrum UVA/UVB sun protection. Active sunscreen ingredients are non-biodegradable and have been proven to biomagnify, that is, to accumulate inside the body with the potential to be passed on to offspring. 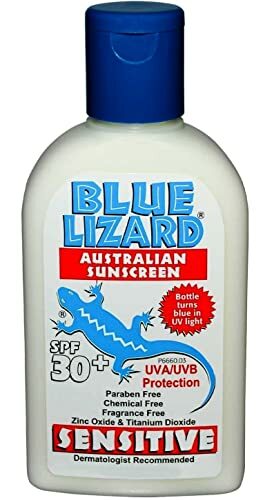 Clearly, the best sunscreen for melasma is Blue Lizard Sensitive Sunscreen SPF 30+ because the last thing you want to do when you’re dealing with melasma is to irritate your skin even more. Your best treatment remains to be protecting your skin from the sun so other than sunscreen, you should also find other ways to shield your skin from the sun or, stay out of it completely if you don’t have any need to bask in the sun.